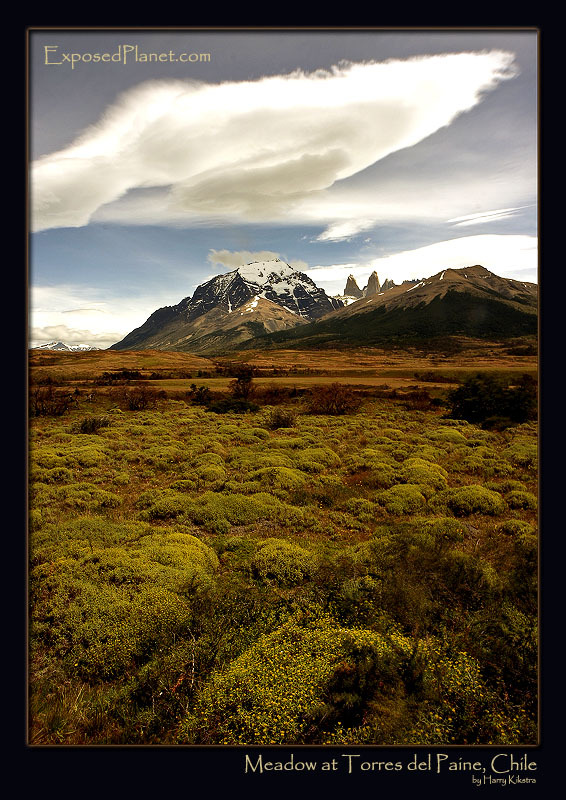 The story behind "Meadow in Torres del Paine park, Chile"
A shot from the side of the road that winds through the wonderful park in Patagonia, Chile. Filled with small flowers, it is a windy but pleasant place and from most points you can see the 3 famous rocky ‘Torres’ piercing the skies. Another HDR shot, meaning that I made several exposures from the same point, using a tripod. The images were then combined, taking away the need of doing Photoshop work with masks etc to have an evenly exposed picture. Shot with Canon Eos 20D, likely the Sigma 50mm lens, different exposures combined.